You, Me and Movies: Has "X-Men: Apocaylpse" found its villain? Oscar Isaac is an actor I have loved watching transform. He's a name I wish more people knew, because he's been tearing it up onscreen since the 2010's began. While I didn't care for Ridley Scott's "Robin Hood" or Zak Snyder's "Sucker Punch," the characters Isaac played were memorable simply because of him. He really bounced back after "Drive," "10 Years," and even "The Bourne Legacy." He finally got some critical buzz after his stellar performance as Llewyn Davis from "Inside Llewyn Davis," a movie I liked quite a bit, and a movie I appreciated since it finally brought Isaac's talents to the forefront. It seems he impressed a number of other people too. 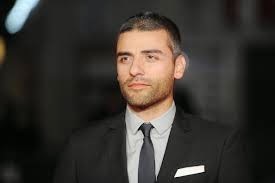 Because not only will Oscar Isaac appear in "Star Wars: The Force Awakens," in 2015. Tonight, it was announced that Oscar Isaac will play the central villain in "X-Men: Apocalypse" in 2016. Oscar Isaac is not at all the person I envisioned for Apocalypse, but perhaps that is why he is so perfect. It was recently announced that Tom Hardy was circling the role, but Isaac is a much different choice, and it should be interesting. Oscar Isaac is already joining a stellar cast. It has already been announced that Channing Tatum is joining the film as Gambit, a very popular X-man from the comics, and also a move that will reunite Tatum and Isaac from "10 Years." It has also been announced that Michael Fassbender and Jennifer Lawrence will be pushed more to the forefront, and a love story between Mystique and Magneto will occur, which should also be interesting. I already know that casting for young Jean Grey and young Cyclops is underway as well, and I hope those choices end up being as perfect as this. Bryan Singer seems to be learning from his first two movies from 2000 and 2003, discovering what worked and didn't work, then making a better movie that way. I think "Days of Future Past" shocked a lot of people, but it reminded me why Singer was so perfect for these characters in the first place. After a great "First Class" and a great "Days of Future Past," all I can say is bring on the Apocalypse!